I threw an Asian man down a flight of stairs. 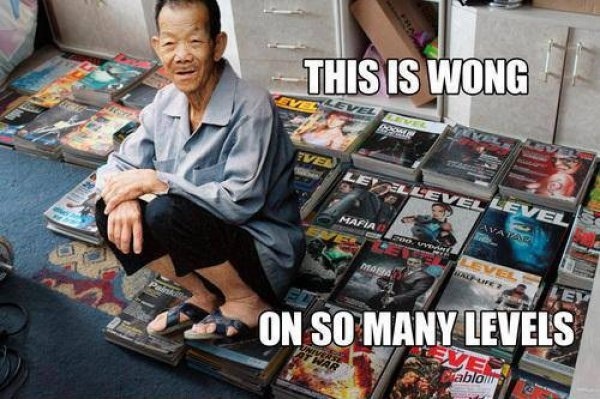 It was Wong on so many levels. Catch, Frigg, Sassy likes this! (02-06-2019, 05:52 PM)FallingDown Wrote: I threw an Asian man down a flight of stairs. Catch, FallingDown, Frigg, Hazmat, Sassy, Zireael likes this! The blaze was put out before any more damage could be done by the fire department. I bought a watch for my sister, a cheap looking thing. I've been in love with the same woman for over 50 years. If my wife ever finds out, she'll kill me. She said come on over nobody's here. I went over. Nobody was there. Catch, FallingDown, Frigg, MeaCulpa, Sassy likes this! (02-10-2019, 08:33 PM)counterintelligence Wrote: The blaze was put out before any more damage could be done by the fire department. Did the watch make her look better? Catch, FallingDown, Frigg, Sassy likes this! Catch, FallingDown, Frigg, MeaCulpa likes this! I think this guy could have been HUGE! He was truly original and very funny. Bruises and all. Catch, Sassy, unclelunatic likes this! My flight instructor yelled out that I need to listen to him. I thought that was a strange way to start a conversation. FallingDown, Frigg, Sassy likes this! (02-06-2019, 05:47 PM)Citizen37082 Wrote: i've got asthma now. OMG This one's going in my quotes folder ROFLMAO!!! Catch, Frigg, MeaCulpa likes this!